What could be a better way to set the mood for your event, than by using some gorgeous soft lighting? Is there anything more romantic than candle light? With enough flicker you can create an almost dream like feeling, which is a brilliant scene to set on the evening of your wedding. We have an abundance of accessories that you can use to compliment and hold your lighting. The simplest of which is the good old tea light holder. Arranged across a piece of furniture, like a dresser, or as part of your table centrepiece, they are a timeless classic and add to any arrangement that you chose. 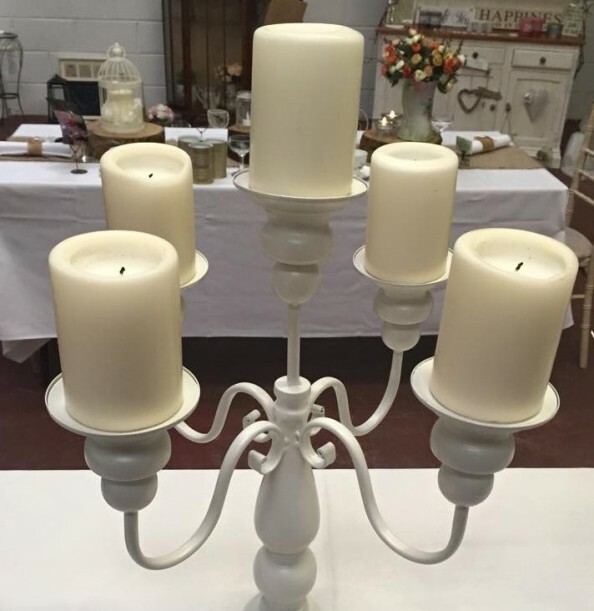 If you are more of a fan of church candles, then why not go for a beautiful pillar candle candelabra? Add in a few fresh flowers and you have a complete, and brilliantly beautiful centrepiece. If you are more of a classic romantic, then the candle stick could be more you. Whether it be a single stick, or a cluster on a candelabra, they always create a feeling of elegance. Flameless candles are a fantastic alternative if you have a lot of children coming, or if your venue doesn’t allow a naked flame. Fairy lights come in all shapes and sizes. You can cover walls, ceilings, railings, doors or pretty much anything, thanks to the wonder of battery power. Have a look through our pictures for ideas. 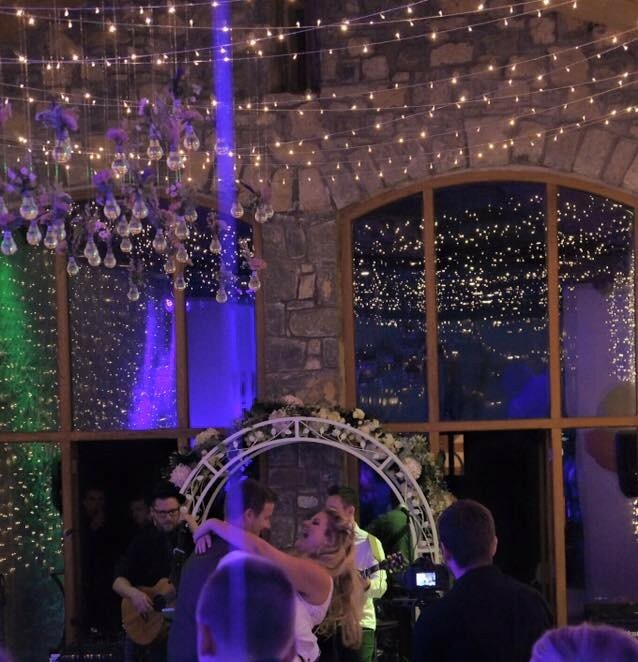 To hire any of our lighting, or to ask us a question simply get in touch with us here.